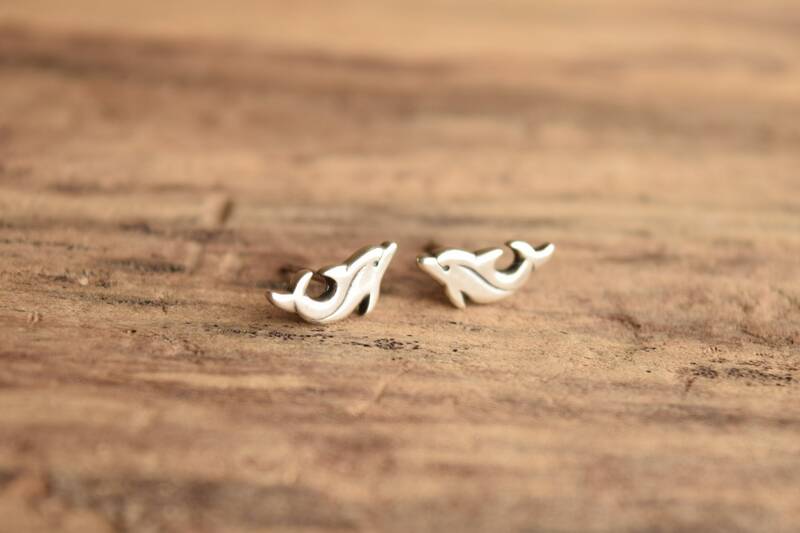 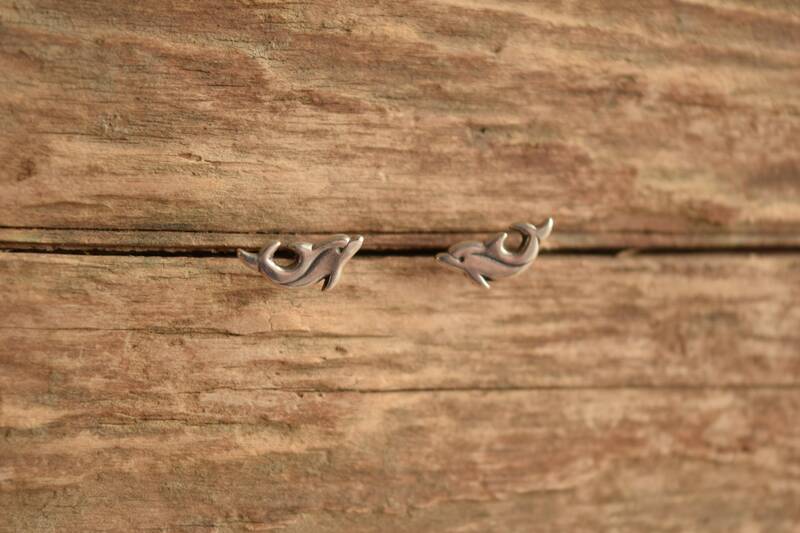 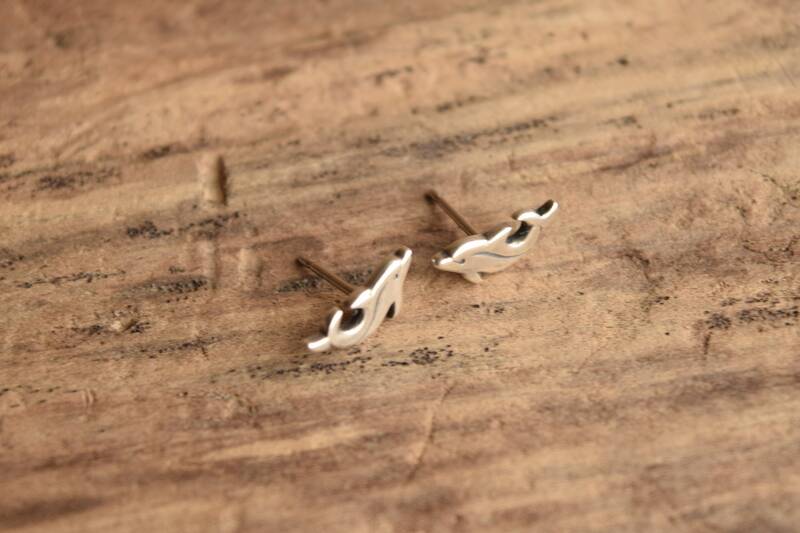 A retired design by James Avery, these dolphin shaped sterling silver studs are perfect for marine life and beach lovers. 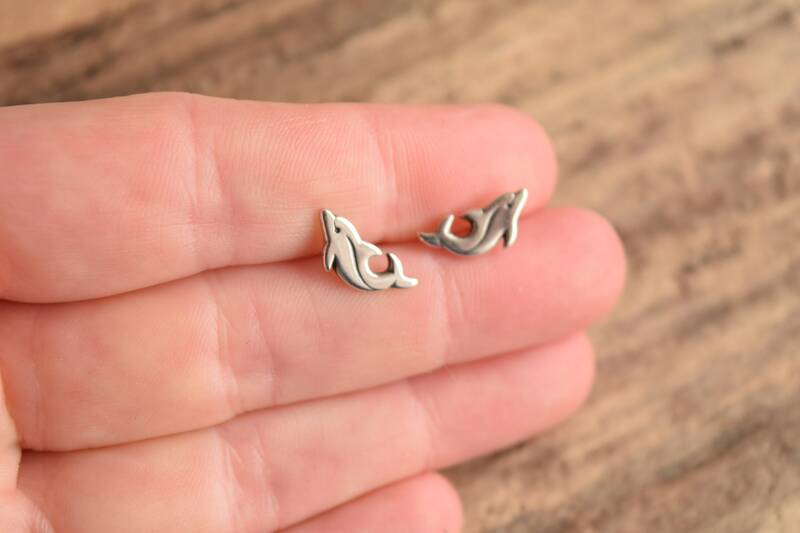 Condition: Great gently used condition. 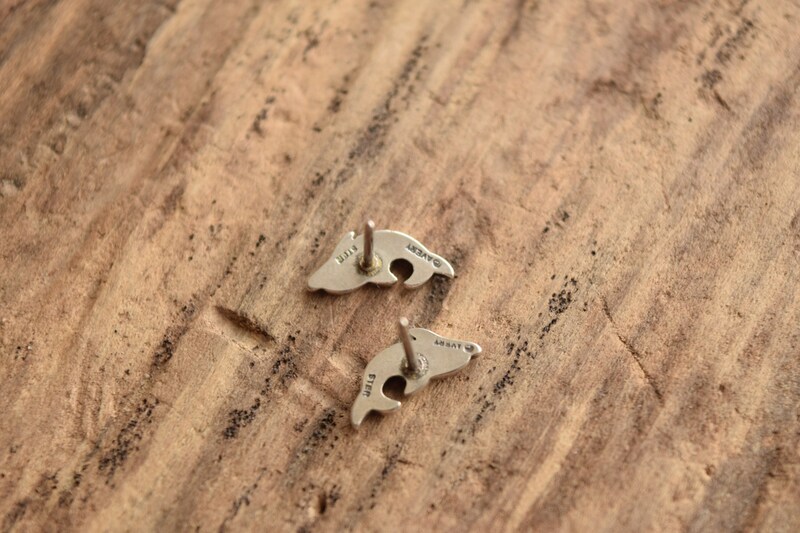 We've sanitized these earrings and will include ear backs for use, however they may not be the original ear backs.